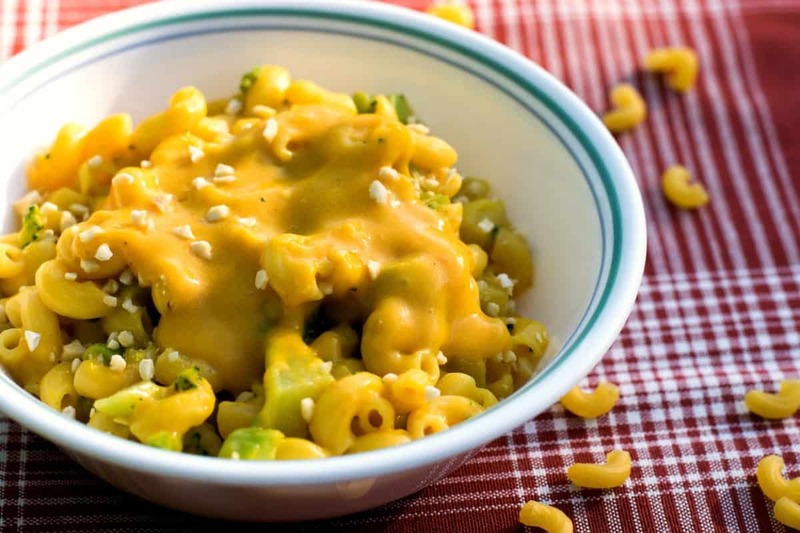 Let me tell you, this is by far, the creamiest, the cheesiest, the most AMAZING Vegan Mac and Cheese ever! Remember how silky smooth that box of Velveeta got after you melted it? Yeah – it’s like that. Only this isn’t really ‘cheese’ at all. In fact, there’s not a single drop of dairy in it. Nope, and no tofu or cashews either. So what makes it so creamy you ask? A secret ingredient, and when I tell you.… you’re gonna flip. When I used to work nights, sleeping any kind of normal hours on my days off was completely out of the question. So as I was laying in bed early one morning, watching a Vegan cooking show of all things, I saw this guy by the name of Chef Mark Anthony, and he was making a cheese sauce. 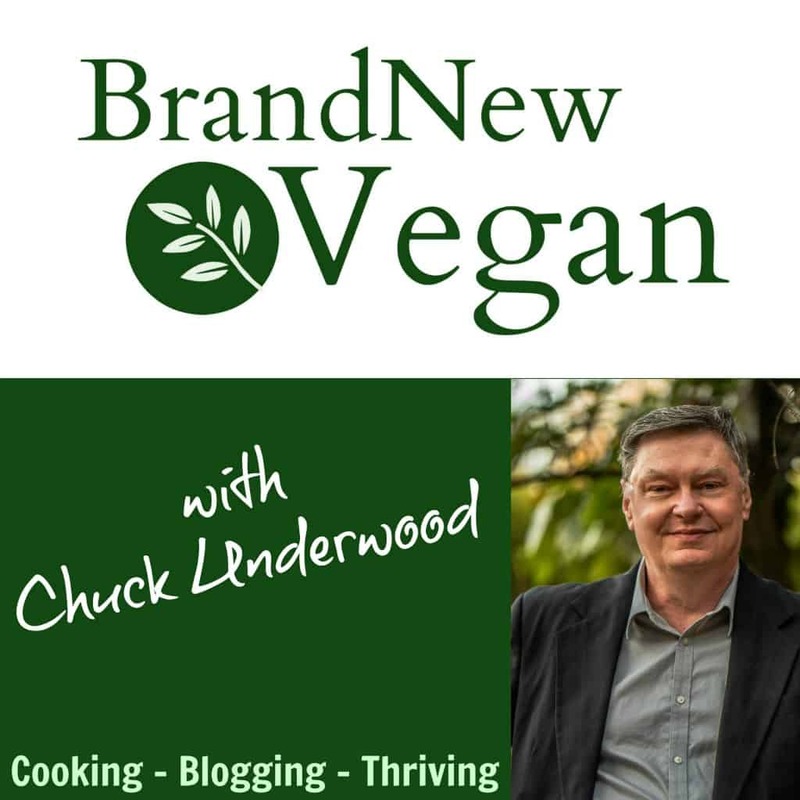 Now most vegan cheese sauces I have tried so far, are made from Tofu or Cashews, which are ok……. but not everyone likes Tofu. Plus there are LOTS of people that stay away from nuts, because of their high-fat content or because they’re allergic. So when this guy starts making a vegan cheese sauce, with Carrots and Potatoes of all things, I woke up pretty quickly. Needless to say, I took a lot of mental notes that night, and that next day…… me and my blender made magic happen. And let me tell you it is by far, the creamiest vegan cheese I have ever had. So Chef Mark Anthony? Kudos dude….seriously, thousands of Vegans are now thanking you. 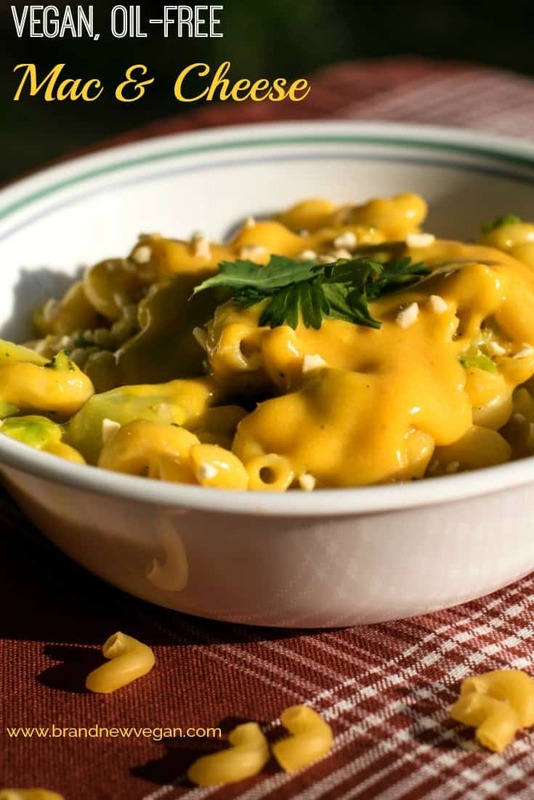 This Vegan Mac and Cheese was inspired and adapted from his amazing idea. I then added 2 carrots to the water. The more carrots you use, the more orange the sauce becomes, but also the sweeter it becomes as well. So adjust to your own taste accordingly. You can ALSO use your Instant Pot! Just add your potatoes, carrots, and 1 full cup of water to your Instant Pot, and set it for MANUAL and 12 minutes. Allow it to naturally release for 10 minutes and that’s it. Instant potatoes and carrots. With a slotted spoon, transfer the veggies to the blender and add about 1/2 cup of the hot potato water. Pulse until it starts to become smooth, and then add the rest of the ingredients. Blend on high until it becomes as smooth and creamy as you can get it. You can add more of the potato water to thin it out if you want, but about 1/2 cup was just right for me. Just like I said, right? To make the macaroni and cheese, just rinse out your potato pot and add some clean, cold water with just a pinch of salt. When it starts to boil, toss in about 2 cups of your favorite pasta noodles. Set your timer to whatever the pasta directions say, and when you get to about 5 minutes left before the timer goes off, add in a bag of your favorite frozen vegetables. After 5 minutes, drain your noodles and veggies. Now simply add in as much of the cheese sauce as you like. I didn’t measure mine, but it was enough to make everything nice and gooey, and I still had plenty left. Just make sure everything is coated really well. As you can see in the pictures, it came out great. 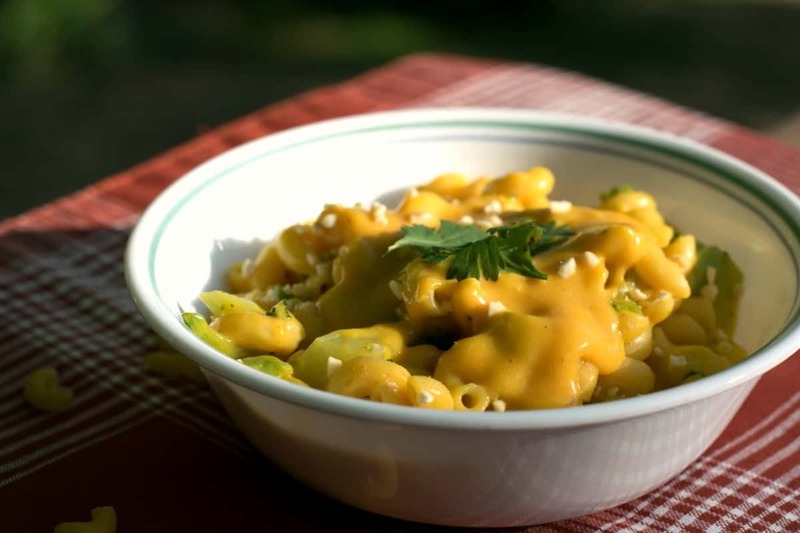 A truly fat-free vegan mac and cheese made from potatoes and carrots. 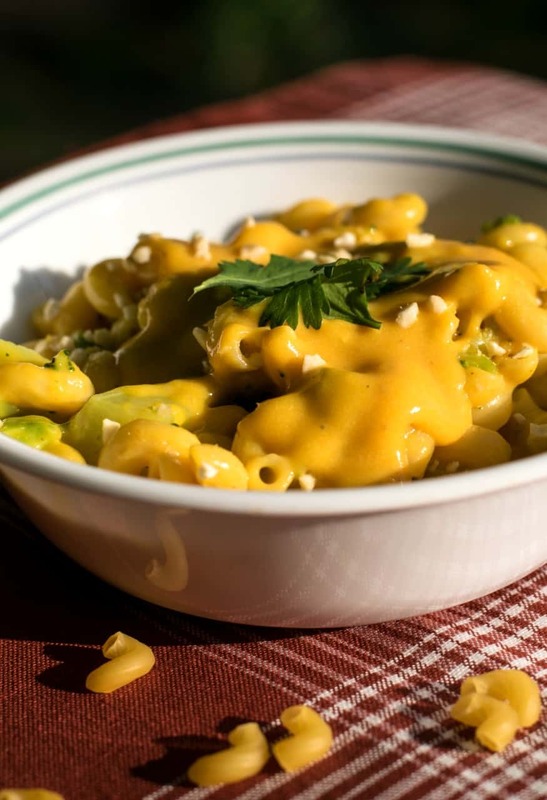 The creamiest, the cheesiest, the most decadent Vegan Mac and Cheese ever! Creamy delicious cheese, without using dairy, nuts, or tofu. Wash and scrub both potatoes and carrots, peel if desired. Chop into uniform pieces and boil for 10 minutes. INSTANT POT: Or - simply add them to your Instant Pot with 1 cup of water. Set to MANUAL and cook for 12 minutes. Allow to naturally release for 10 minutes before opening lid. I have been making something similar to this for my son who went vegan but really misses Mac N Cheese. You can use sweet potatoes instead of carrots and I think it’s better. You can also puree a handful of cashews and blend in it to make it even more creamy (but higher fat of course.) Also I throw a couple of pieces of cauliflower in the pot with the potatoes when I’m cooking them and blend that in which I think also helps with the creaminess. We also make a Alfredo sauce with cauliflower which is really good. Thank you for the inspiring recipes! Is this recipe a rerun? Can you make and store the sauce in big batches? I love cheese on everything. This is delicious, and we especially like it with a package of mixed vegetables cooked with the macaroni, like in the original version. Made this today. I am incredibly amazed at the creaminess of this sauce. I am new to vegan cooking 🙂 I may have added just a tad too much lime juice and don’t know how to fix. It didn’t quite have the cheese flavor I was looking forward too. 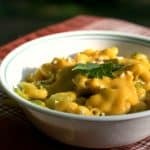 Would you recommend to add more nutritional yeast to add that nutty or cheesy flavor? Overall I really enjoyed following this recipe. Thank you so much for sharing. Very creamy and delicious. Next time I’ll add a bit more salt and Nutritional Yeast. Thanks for the recipe 🙂 ! suggestions as to the pasta to sauce ratio? I’m wondering how much pasta for a whole batch (or is that how it is listed?) or could one batch do ay 2 cups pasta and nachos as well? Just tried this. Was very creamy, wonderful consistency. Unfortunately i didn’t care for the flavor, doesn’t taste like cheese, has an unusual tang & I followed the recipe to a “T”. Any suggestions? Because it’s NOT cheese. How long has it been since you’ve had real cheese? If it’s been recent – it’s not GOING to taste like cheese. But the longer you are away from it, the better it tastes. Sorry – but that’s the truth. The taste and consistency to me are close enough, and that’s all that matters. I completely agree. It has a weird tang to it. I attribute that to the mustard that is in it. And while I do not expect it to taste like real cheese, it does not even taste good as faux cheese. Next time, I will be trying it without mustard and adding a bit more nooch to it. Delish! I added a whole white onion & a ton of garlic to the boiling veggies. Then topped the mac & cheese with garlic broccoli. Thank you for sharing! This cheese is sooooo delicious! I love this! Used Yukon, carrot, and yam. Also added paprika. Unbelievably creamy! I really love this cheese sauce! I made it just as the recipe indicated. My sister came over for lunch and we served it over Brussels sprouts and we both loved it! This recipe fills a hole for me as to what to put over veggies besides tons of butter. This is an outstanding recipe and a keeper for me! Thank you Chuck! I love a man who cooks! Made this today and it is really good. It is so versatile to use for Mac & Cheese, on baked potatoes or as a dip. I will definitely make this often. When I use this recipe for Mexican food, I add 1/3 cup of Franks red hot sauce – the original, not the one with oil. The Franks kicks it up a notch! Wow! So cheesy! And not remotely sickly as vegan ‘cheese’ things so often are. Chuck, do you have a suggestion for a different potato? I can’t use Yukon gold as I can’t cook the potassium out of them. Just wondering if another type might work as a good sub.